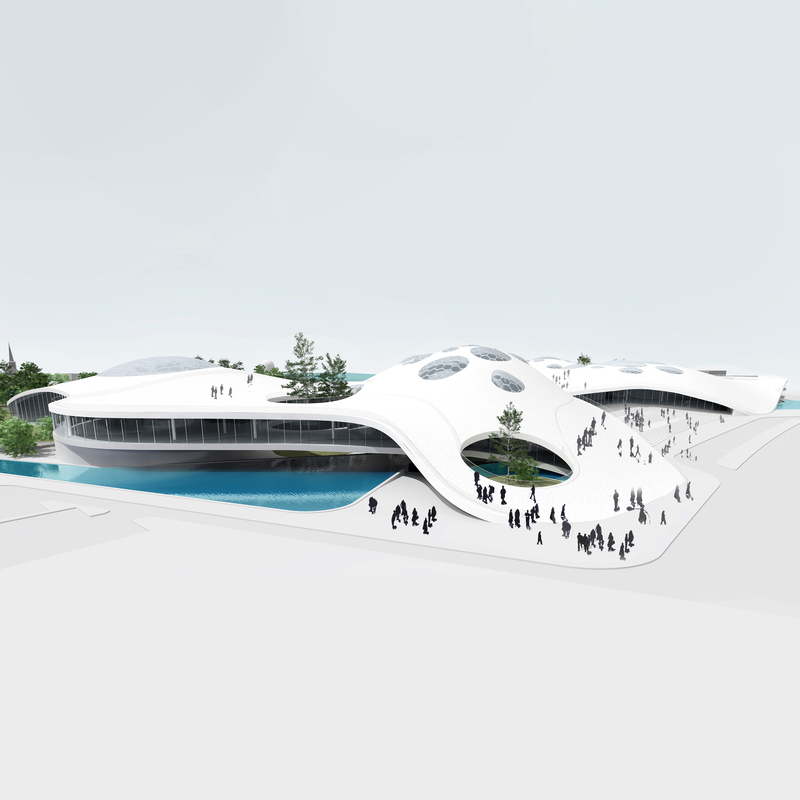 The construction of a Modern Museum of Natural Science, equipped according to the latest requirements, may represent for Constanta, for the region, and for Romania an opportunity to attract tourists, being unique in this part of Europe for its size. The construction of a Modern Museum of Natural Science, equipped according to the latest requirements, may represent for Constanta, for the region, and for Romania an opportunity to attract tourists, being unique in this part of Europe for its size. Therefore, to further increase its attractiveness and make it an important point in the Black Sea tourist track, we designed it as an amusement and leisure park, with a rich offer of activities to meet the different public group demands. 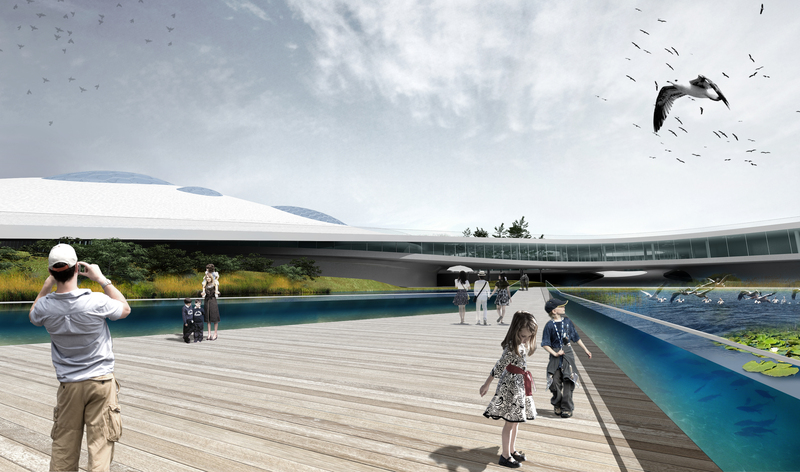 Our project negotiates and superposes 3 layers of space: the open public plaza above the building which is also a connection to the nearby lake, the interior exhibition and the exterior museum landscape.